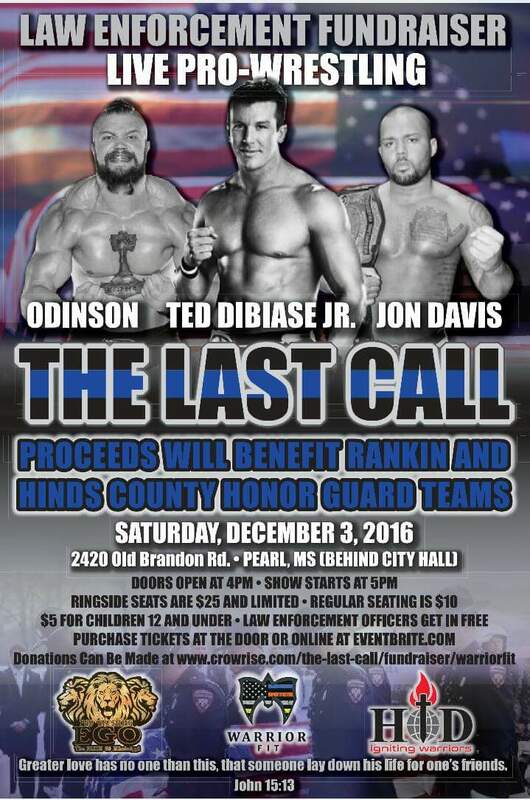 Former WWE Superstar Ted DiBiase Jr. is coming out of retirement for a match at Pro Wrestling EGO’s “The Last Call” event on Saturday, December 3rd in Pearl, Mississippi. The event will be a law enforcement fundraiser to benefit Rankin and Hinds County Honor Guard teams. Full details on the event are at this link. It appears DiBiase last wrestled in December 2013 for the FWE promotion. Side Note: Personally, I want DiBiase Jr. to return to the ring. He was good, I know the E booked him wrong. Just give him the Million Dollar Man gimmick and let him do his own thing.